They had a whole section on Legos. They had a lot of different builds, from Yoda to a full city scene with working trains! 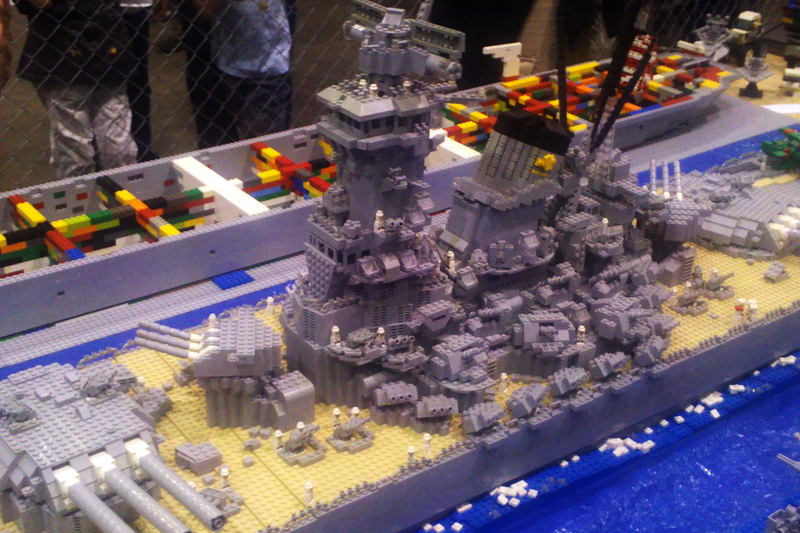 This is the battleship Yamato from WWII. Very detailed! 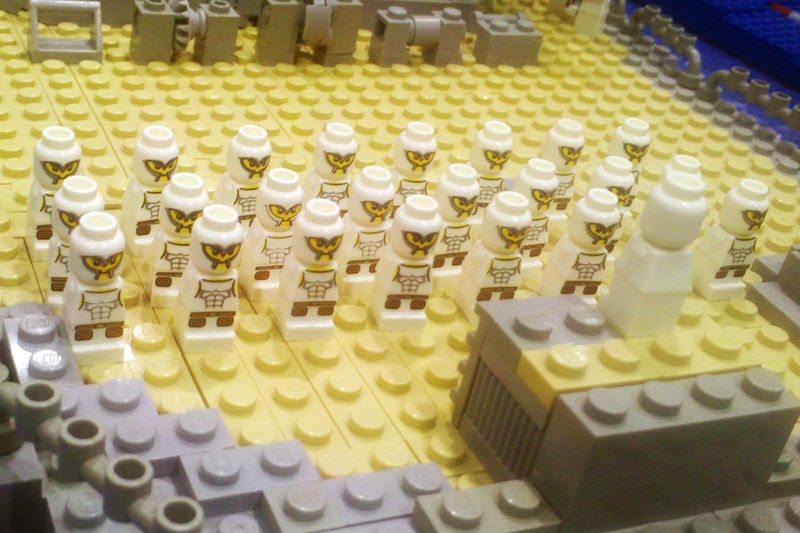 The Japanese naval troops on the deck of the Yamato. Is it racist to have white ninjas represent the Japanese navy?? I guess this is the closest one can get to Japanese Lego people. Hah. This was the kids’ lego area. 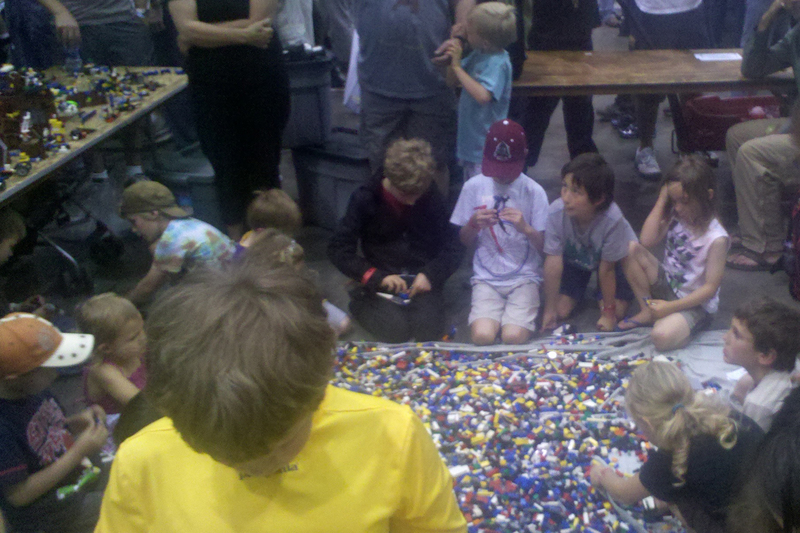 They spread a huge sheet and threw tons of legos on it for kids to play with. Future engineers and scientists of America. 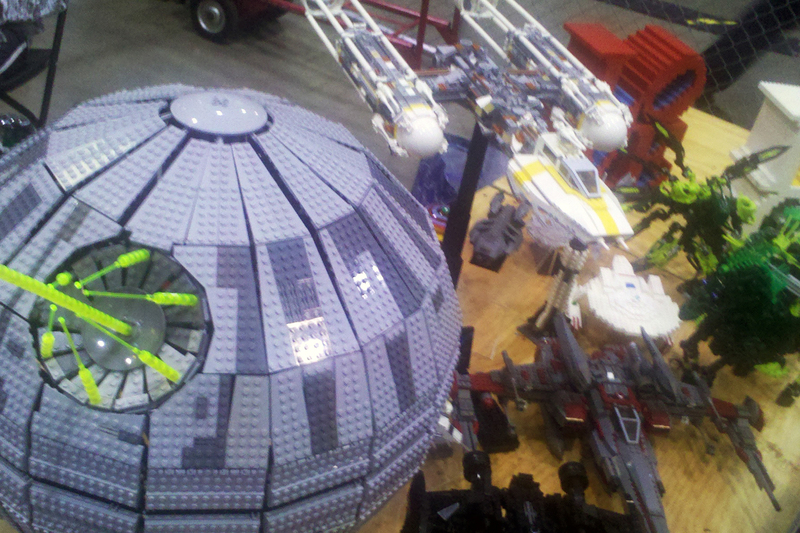 And of course… the Death Star and a Y-wing. Coolest legos there. Fara at the printing press table. 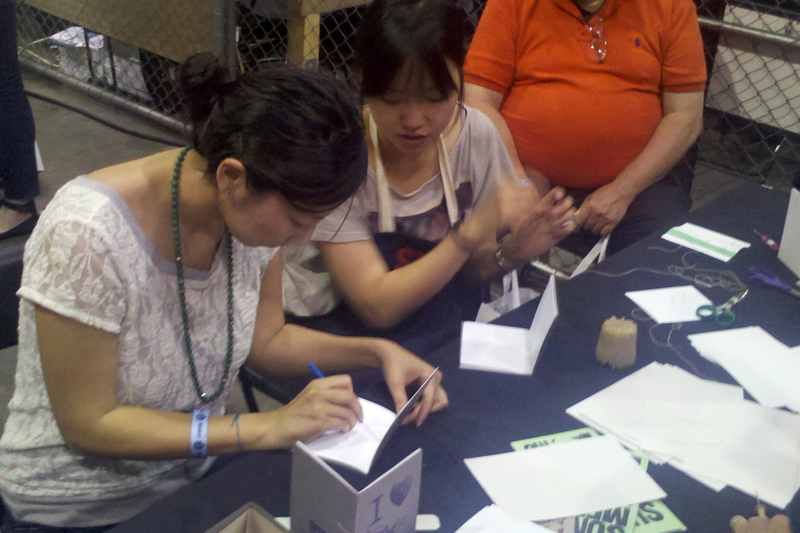 They let you print your own “book” then bind it! This was perfect for F since she likes reading and journals. I, on the other hand, like not reading and star wars. 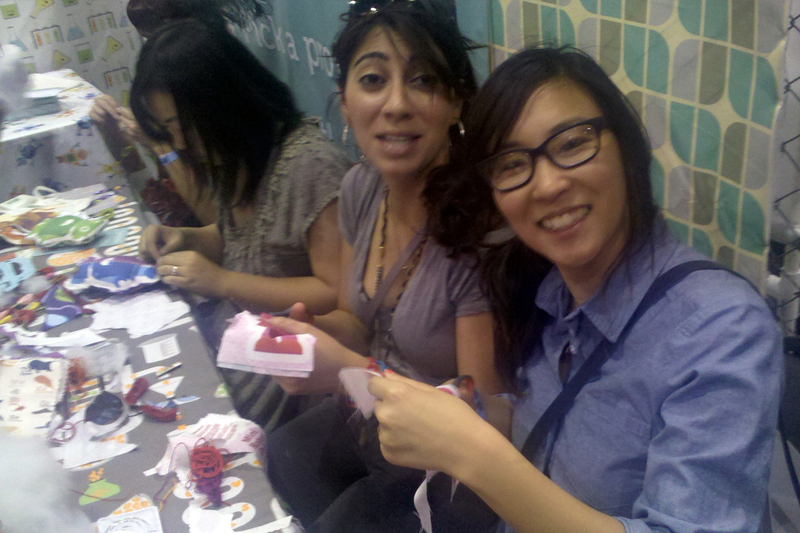 Clara and Shirin making small robot stuffed pillows. They turned out really cool! They also had a Battlestar Galactica booth. Apparently two kids constructed a Viper flight simulator out of an old jet fuselage and computers. It twisted and turned just like the (new) BSG TV series. Pretty cool. 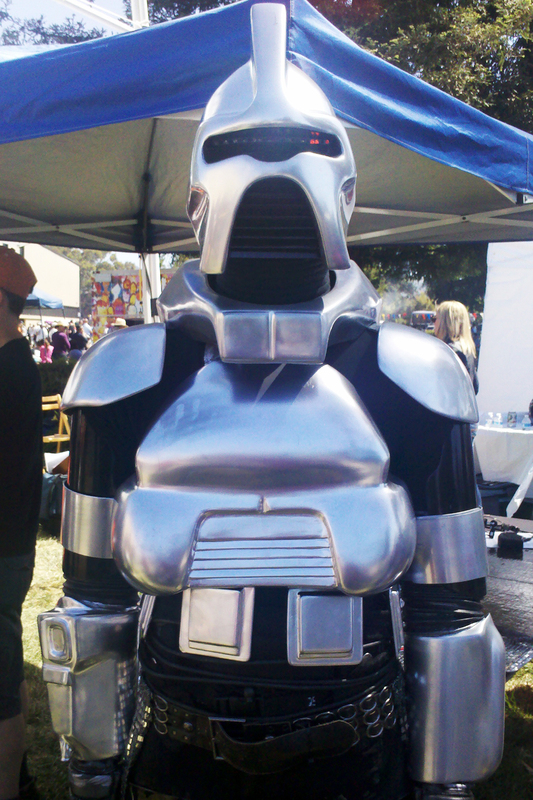 Here is a pic of the cylon costume from the 1980s that they had outside. The kids that constructed this are now quite a bit older… they looked to be in their early 20s. 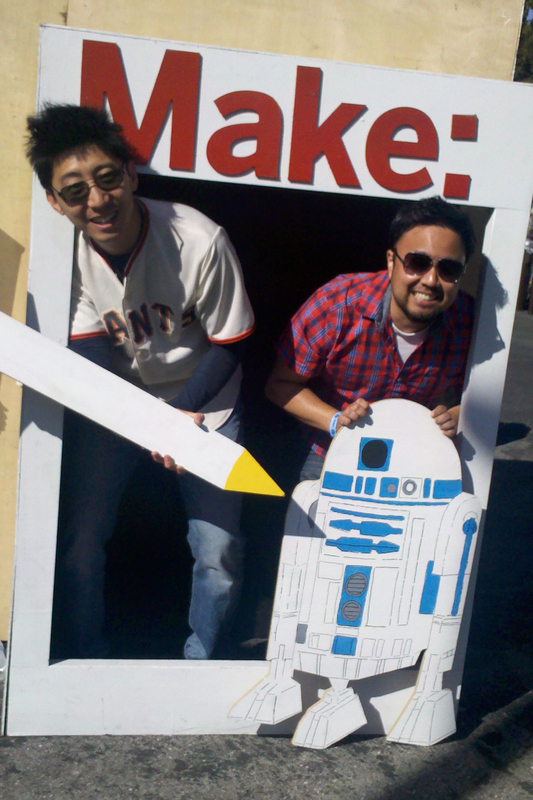 Allen and I at one of the Maker Faire photo stands. I believe Allen has a rocket in hand (as opposed to a giant crayon). He was gracious to let me have the R2. haha. 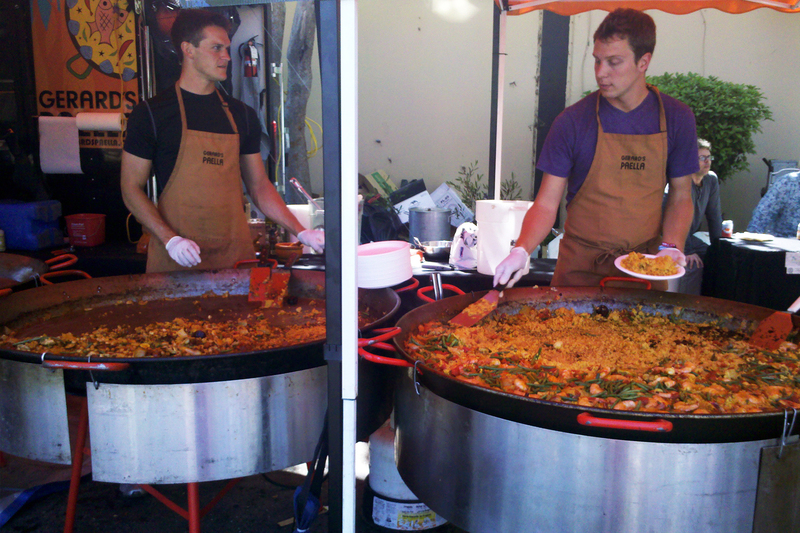 Best food at the faire: paella!!! Gerard’s Paella had about 6 of these huge paella pans, plus one additional one that was about 3x as big as these! I got the vegan paella and it was delicioso!! I saved the best for last. They had an R2-D2 builders club!!! These guys make real, working R2 units! Hahaha. 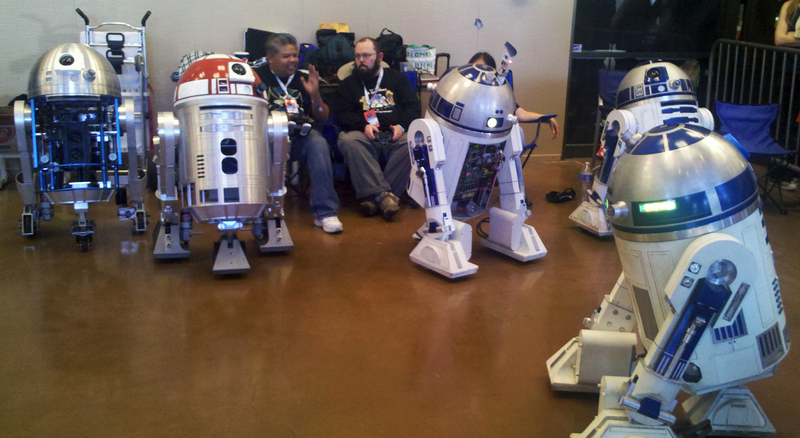 They all sat in chairs with remotes that controlled their R2s… seriously the coolest thing at Maker Faire. seriously.